The scanner is a digital device that analyzes a document or object and creates an exact electronic copy. The actual process of work of the scannerand is called scanning and is used in various fields of human activity. 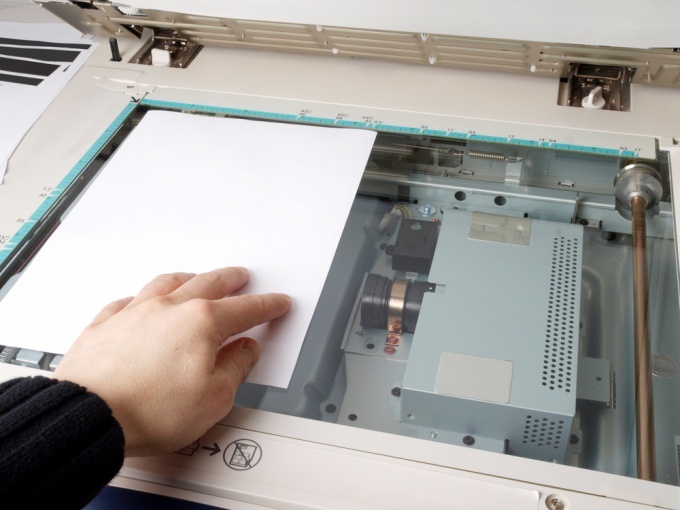 But most often the scanners are used to create copies of any documents or images and then work with them. Scanners come in color and black and white. Their sizes depend on the model and brand manufacturer. To date, the scanners produce hundreds of firms, the advantage of the United States, Japan and some countries of South-East Asia. The vast majority of them are compatible with the Windows operating system. It is worth noting that to install the scanner independently in two ways. Their choice depends on whether you connect the scanner directly to a personal or laptop computer (called a local scanner or a network scanner, which will work your model. To install a local scanner, you'll need a regular USB cable. As a rule, it is included in the package. However, you can use any other USB cable. One end connect to the rear panel of the scanner itself, the other to a special connector on your computer. Turn it on and wait some time while Windows is automatically defined. If Windows cannot detect the scanner, you may need to install on your computer driver. A driver disk is also included in the package. If for some reason you can't find it, go to the official website of the manufacturer of the scanner. Driver for all models will be available for free download in a special section. Download and install them on your computer or laptop and try again to connect the scanner. Many organizations connect all scanners happens to one specific network scanner. It makes their work much faster and helps save time of employees. In this case, to properly install the scanner you'll need to spend a little more time. To begin, connect the scanner to the computer via USB cable. Then click on your computer start button. In the opened menu select control Panel, and then Network. Following these you'll see a special menu where you must select the control Center network and sharing. Choose the same command View network computers and devices. In the list of scanners, find your scanner model and click the right mouse button. In the opened menu choose item to Install. Following this will automatically load the installation Wizard. Exactly follow his instructions, pressing the Next button. At the end of installation click finish. This connects the scanner to a network scanner is completed.